You may have seen recently on my blog that I adorned my car with a KidsEmbrace Cinderella car seat! My daughter loved it so much, and helped get her excited about long drives in the car (something she used to dread). Since it has made riding in the car so much more fun, we decided to make safety fun in dad’s car, too! 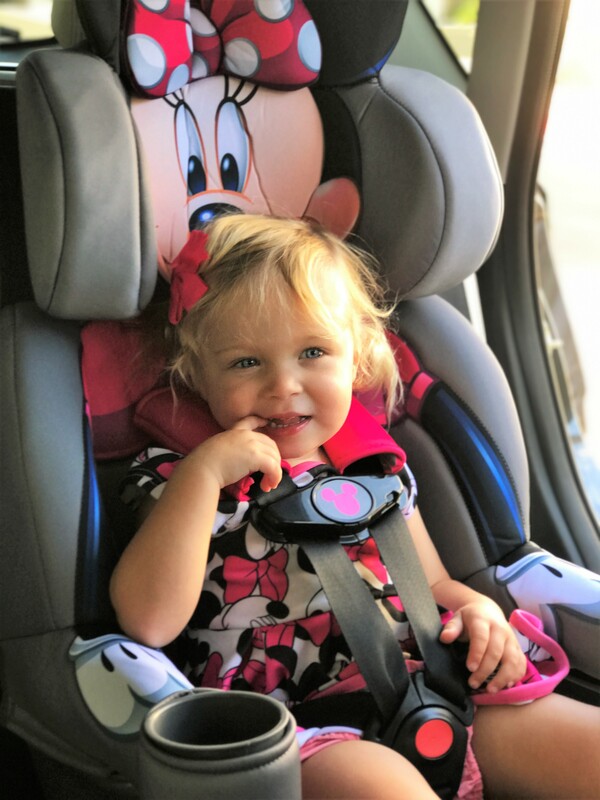 Two of her favorite shows to watch are Mickey Mouse Clubhouse and Mickey and the Roadster Racers, and she always loves to say hi and hug Minnie Mouse when we go to Disneyland, so we thought a Minnie Mouse car seat was the best surprise for her drives in dad’s car! It was just as fun surprising my daughter with her Minnie Mouse car seat as it was when we surprised her with Cinderella! It’s fun for her to have the variety of car seat I think, too. Aside from the car seats being fun, they also are quite comfy. They are spacious with a soft seat, and my daughter easily falls asleep in it during longer drives. It also has two cupholders, and a pink Mickey shape on the buckle. You can find the KidsEmbrace Minnie Mouse car seat here, along with KidsEmbrace many other character-inspired car seats.